Taramana is a French-Cambodian NGO whose ait is to support éducation and improve the lives of about 250 children living in the underprivileged area of Boeing Salang, located in the north part of Phnom Penh city (Cambodia). 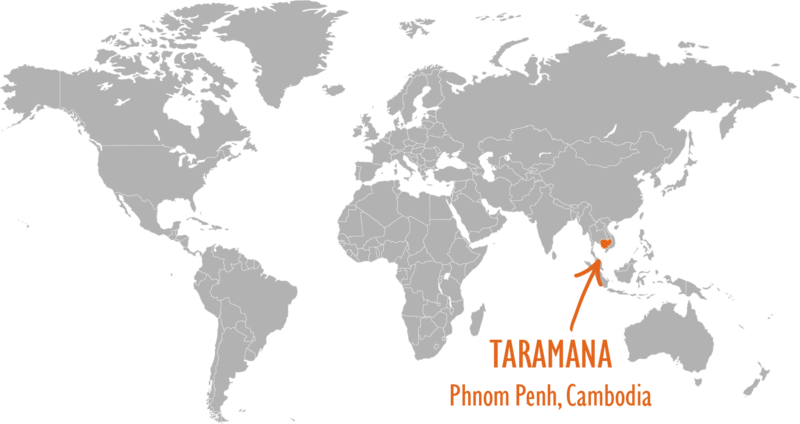 Taramana, founded in 2005, is primarily a French non-profit organization under the French law of 1901 for non-profit organizations. In 2007, Taramana was recognized locally as an NGO within the Kingdom of Cambodia. Taramana was founded by Dr Jocelyn Dordé to support the education of two Cambodian orphans : “Tara” and “Mana.” The Taramana Magdalena Centre now welcomes over 250 disadvantaged children from a Cambodian slum, near the capital city. The main role of the organization is to support the children’s education in Boeng Salang. In conjunction with this long-term goal, it is also essential to give them better living conditions. 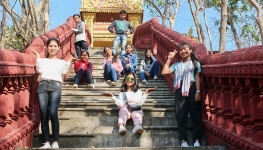 In France, Taramana also works with young people to raise awareness of the living conditions of Cambodian children and the values of solidarity.